Why like your home, when you can LOVE it by remodeling with Ennis Builders Inc. Get the benefits of a new home without moving. With our in-house design and all of the design ideas we’ve gathered from building almost 4000 homes, we can come up with a plan that meets your expectations and budget. Whether it’s a simple modernizing to an ultra custom renovation, bathroom and/or kitchen upgrade, a room addition, an exterior elevation enhancement, to a complete re-do – we have you covered. We can work with you to create a unique plan for your home and your lifestyle, meeting to your expectations and satisfaction. Don’t compromise…Get the clean, professional, and courteous service you deserve. We put a lot of planning into remodeling your home. If you will be living in the home during the remodel, we can create a personalized schedule that works for your family. We take special care to minimize disruptions to your life. If it is extensive or a complete remodel, rest assured that our proven scheduling system will get you back in home as soon as possible. Even though we build very expensive custom homes, we know how to pinch pennies and still get a quality up to date look without breaking the bank if that’s your goal. Have your own property (acreage or lot)? Then let us modify one of our designs to fit your property and your lifestyle. Get the benefits of a building a custom home with your budget in mind. Our customers can choose one of our many pre-designed and budgeted homes from our large collection of award winning and copyrighted plans. See our Plans (Click Here) After building almost 4000 homes, we have a process that makes building a home an enjoyable experience. Let us worry about the details and take the hassle out building, so you can focus on moving in, start living, and enjoying your family in your new home. Choose a plan and customize it if you like. After all, it’s your property, your budget, and your home. Let us make it uniquely yours. Designing and building custom dream homes is our passion. Regardless of the budget, we’ve developed a process over the last 25 years to insure that every detail you desire is incorporated into the plan for your new dream home. If attention to detail is important and insuring that every possibility was considered, then Ennis Builders is for you. We work with the design and modify it until it meets your budget goals. In fact we will design, estimate, and re-design as many times as it takes to meet your expectations and the perfect balance of design features and your budget. We take pain staking detail to build your home on paper first before we move the first spade of dirt or hammer the first nail. We take the typically re-active steps of building and pro-actively plan them in the process to eliminate unnecessary stress for our customers and our team. We want you to enjoy building your home and we try to make this fun and exciting event as stress free as possible. Start from scratch to create a “one of a kind” Custom Home of your Dreams or we can work with your architect as an additional resource, as well. Get the home you’ve been dreaming about. Get the home you want. Get a Custom Home by Ennis Builders Inc.
Our Re-Hab division that specializes on the maintenance and renovation of distressed properties (Foreclosures, HUD Homes, Abandon Properties, REO, Vacant Commercial, etc...). We have worked with real estate agents, bank asset managers, and investors for 20 years. We appreciate that you, as a real estate professional and/or investor, need a reliable vendor to partner with to allow you to operate efficiently and profitably. We know what matters and how important budgets and schedules are. Our goal is to assist you get your properties back in a marketable condition so you can sell or lease them quickly. Whether you have one or numerous units, we have the experience to manage the renovation process so you can concentrate on growing your business and account portfolio. Brand new homes customized to your taste. 3-8 bedroom, 2-5 baths homes at Williams Ranch. Various architectural exterior elevations to chose from. RV parking and pools available. Energy efficient plans. Check out our model home and other homes under construction. Conveniently situated near Hwy 65 and Hwy 190, New Expressions is close to abundant shopping as well as easy access to local schools, college, and medical facilities. Located adjacent to the tranquil Tule River, enjoy the river parkway and trail system that surrounds the entire neighborhood with a picturesque view of the foothills and Sierra Nevada Mountain range. A neighborhood park with playground equipment and other recreation facilities are within this community. A trip to the beach is just a couple hours away for an easy day trip or weekend away. You can leave your doorstep and be in the majestic Sequoia National Forrest in an hour or skiing at the local lake in 10 minutes. Choose from 75 beautiful house plans, including both single and two-story homes up to 1,752 square feet, with 3-4 bedrooms. Two-story homes are available upon request. With numerous exterior architectural elevation and color choices available for each plan, these homes can be further customized with a long list of personal choices (options) to make your home uniquely yours. Prices start at $170's. Situated on the edge of town, Williams Ranch offers the serenity of the country with convenient access to nearby shopping, restaurants, entertainment, and schools. 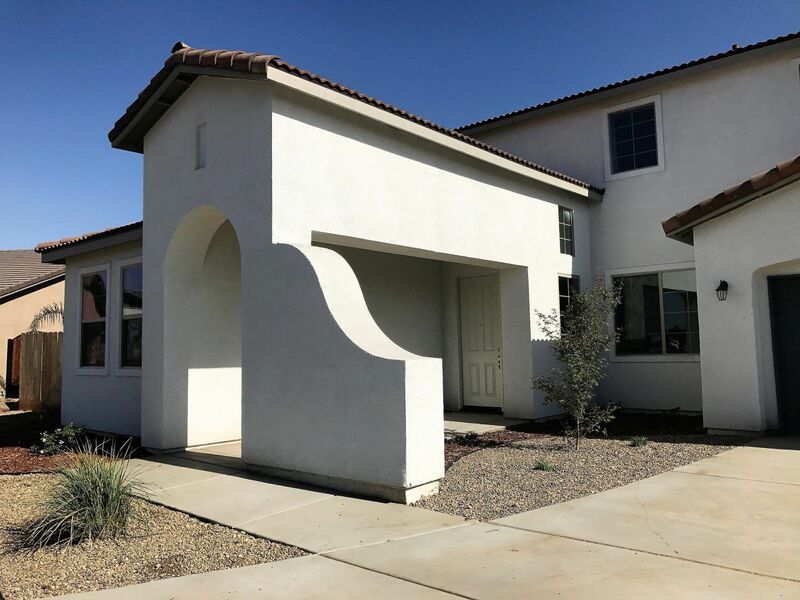 This neighborhood is in the newer, growing west side of Porterville with quick access to Highway 65 for travel to the north to San Francisco or south to Los Angeles. A trip to the beach is just a couple hours away for an easy day trip or weekend away. You can leave your doorstep and be in the majestic Sequoia National Forrest in an hour or skiing at the local lake in 15 minutes. Choose from 9 house plans from our Sierra collection, including both single and two-story homes up to 3,043 square feet, with 3-4 bedrooms and 4-car garages available. Prices start in the $220's for these semi-custom plans. If you need more even more room or want more of a custom home, choose from our Executive collection of plans up to 4,000 square feet, which can be customized with plan changes available. With “in-house” design & drafting services, we can create the perfect place to call home or the ideal business environment. We can create a unique one of a kind design from a clean sheet of paper or we can modify any of our own designs to make it unique for our customers wants, needs, and desires. With residential design, there’s nothing more rewarding than turning a dream, from lines on a paper to a tangible reality of the American Dream, regardless of any price point. With commercial designs, we enjoy being able to meet a customer’s business need, overcoming challenges, and working within a desired budget. Designing product that is true to architectural style is important whether it is Contemporary, Spanish, Craftsman, Santa-Barbara, European Country, Traditional, Colonial, Ranch, or Modern. We keep this in mind when we design, which makes a difference. Having an in-house architectural services allows us to incorporate the customer’s desires into their design at the most cost effective manner possible. When it comes choices we have all of our floor plans displayed in our comfortable Design Studio located inside our corporate office. And when it’s time to make finish selections and color decisions for your new home or property, we conveniently have lots of products on display to chose from for the convenience of our customers. We have displays of light fixtures, plumbing fixtures, carpet, linoleum, tile, formica, granite, cabinet samples, stain samples, and paint for the interior. We also have designer matched exterior colors boards with roof tile or comp, stuccos, trim and accent colors, siding, brick, and stone shown to make the exterior elevation selection easy to choose from. Let our experienced team of professionals help your business by building the ideal environment to meet your business needs. We can work off of your own plans and ideas or design-build for you the special place you want for conducting your business or your investment. Whatever the need (professional office, retail, medical, or a metal building, multi-family) our clients are interested in, we have the experience to design and build what the customer expects. We work with your budget in mind during the design process to make sure the final product . We pride ourselves by being able to meet a customer’s business need, overcoming challenges, and working within a budget. With commercial design we enjoy. Ennis Builders Inc. has deep roots in the development business. Brian Ennis started in land development in 1991, 20 years ago. He acquired and developed over 2,300 acres of land, entitled and developed 70,000 square feet of commercial property, entitled and developed 5,500 residential lots throughout the Central Valley & Central Coast. Ennis Builders has long term relationships with the best engineers in the central valley and the best land planners in the nation. We’ve developed in just about every city between Bakersfield to Clovis as well as the Central Coast. We have developed small projects all the way up to 400 acre master planned communities with various housing types, multi-family, retail, and mixed uses. We maintain great relationships with the cities and their planning staff. Every great project starts with the development of the dirt, something we know very well. We partner with local investors and business professionals who appreciate tangible investments they can watch grow and can be measured not only by its attractive return on investment, but also its contribution to the local community and economy. Unlike the stock market, investors can watch their dollars at work building the American dream for local families and local businesses. The amount of each investment ranges based on the size, scope, and timing of the various projects. Brian enjoys partnering with investors who are business minded and are results oriented. 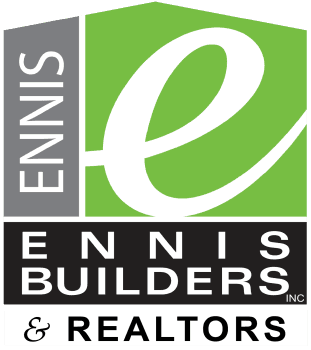 Ennis Builders Inc. makes money only when its investors make money; resulting in an alignment of goals and a win-win relationship.